I spent a great three hours yesterday afternoon at the British Museum’s exhibition Shakespeare: Staging the World. It’s been their blockbuster Cultural Olympiad event of the year, and I’m a bit late in the day getting to see it, and it looked like many others were anxiously catching up on it before it closes in a few weeks’ time, because it was quite full. Indeed was a bit of a scrum, and careful contemplation was a challenge. The exhibition is not so much about Shakespeare as the world that he inhabited, reflected through his plays and illustrated by museum objects. This didn’t just mean the actual physical world but the mental one too, and not just the Elizabethan/Jacobean period (which I’d been expecting) but back into earlier centuries where these were covered by the history and Roman plays. It was like a journey through that standard academic text of my time at school, E.M.W. Tillyard’s The Elizabeth World Picture, though more grounded in the physical than the cosmic. The exhibition takes us through nine ‘imagined worlds’: the city of London, the countryside, national identity, Rome, Venice, race, superstition, kingship, and the emerging new world. 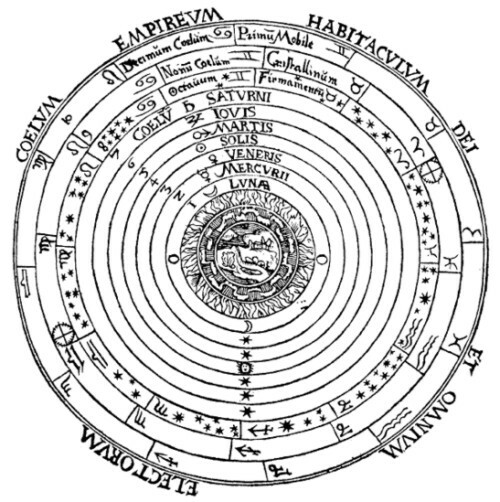 The cosmic world wasn’t covered, which was a surprise, for the number nine either consciously or unsconsciously echoes John Milton’s ‘nine enfolded Sphears’ of celestial harmony which Tillyard makes much of. The exhibition grows from the kernel of London (with the Globe theatre at its heart) outwards in time and space to a much wider world, with this globe then viewed by ourselves whose own world and its preoccupations we find reflected in the world that Shakespeare knew. In the theatre, the audience remains in a fixed location as the spectacle changes everyone starts the play at the same time and finishes at the same time. The experience is a shared one that unfolds over time. In an exhibition, the spectacle is fixed. It tends to be an individual experience that unfolds as the visitor moves through the space at his or her own pace, encountering new points of view with every step. Our challenge was to blend the visual language of performance-based stage design with that of object-based exhibition design and to come up with something new and unexpected. The result was not concentric as such, but more akin to the spiral of a shell, into which we are drawn in to its centre then by some geometric magic led out again without having ever retraced our steps. Much has been written about the cosmological world of Shakespeare’s plays and the Globe theatre as microcosm of the Elizabethan world. The exhibition ingeniously and rightfully expressed this in design. This was a world view on exhibition. 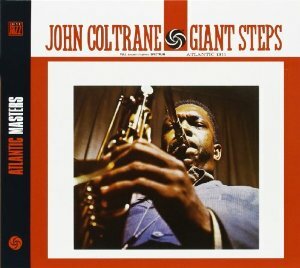 Another part of the design that interested me was its use of moving image and sound. As one enters the exhibition along a spiralling, dark corridor, the sounds of playgoers at today’s Globe are played through speakers, introducing us to the idea that this is to be as much theatre as exhibition. 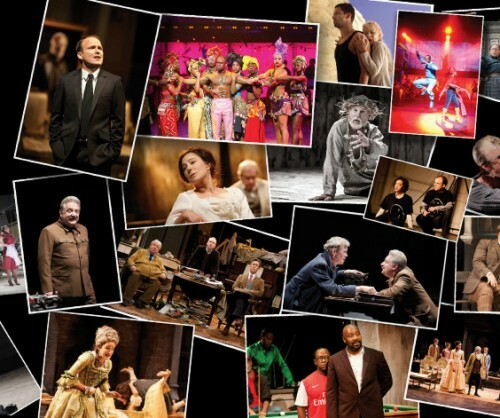 Sound recordings of speeches from the plays, and occasionally videos variously projected onto the walls are provided by Royal Shakespeare Company performers (Harriet Walter, Ian McKellen, Patterson Joseph and others). It is an exhibition full of sounds as well as sights. This is a quite bold thing to do, because a lot of people do not like sounds in their exhibitions – as various commentators on Shakespeare: Staging the World have made clear. At the British Library our exhibitions usually endeavour to include sound and video, but usually tucked away almost shamefully in dark corners, with headphones provided to preserve the hallowed hush (our recent Evolving English exhibition was a bold and welcome exception). People want to look at the objects (if they can peek through the heads of the crowds) and not be distracted by noise. 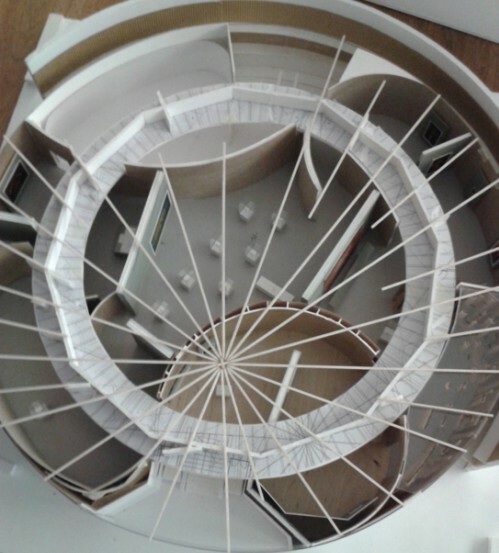 But Shakespeare: Staging the World is a stage, as well as an exhibition, as the designers explain. Performance lies at the heart of it. Personally I was thrilled to encounter sounds playing out over the exhibition spaces and found them not intrusive but rather integral to the whole experience. The volume levels were judged rightly; the positioning was apposite. I found it really encouraging that sounds might not be hidden away but could impart context and understanding equally with objects, text, images and maps. It was a richer, fuller experience – a richer, fuller world on show – because of it. It is our great loss, of course, that we do not have archives of the sounds and life in motion of the Shakespearean era. How much closer we would feel ourselves to be a part of that world if we did! The British Museum of a future age, when recreating life in early twenty-first century Britain for some blockbuster exhibition (see how strangely people lived back then, yet how close they are to us if we only have the imagination to see it), will have so much more to call on when illustrating an age that compulsively recorded itself through every medium. Our stage will not be the Globe, however. It will probably be a mobile phone, placed in the heart of the exhibition space, out of which will pour forth everything. Last Friday I went to the Theatre Plays on British Television conference at the University of Westminster. It was somewhat thinly attended, which is a great shame, since every paper was good (and left you wanting to know more) and the theme is an intriguing one. For the first four or five decades of its development, television was in awe of the theatre. Its dramatic inspiration was the theatre; it yearned to broadcast great stage works, and the highlights of many a television year were classy stage productions transferred to the screen. Many of TV’s pioneers, especially at the BBC, looked up to the arts that were cherished by their class, and looked down on their audience, which they seemed to feel needed an education in the finer things. 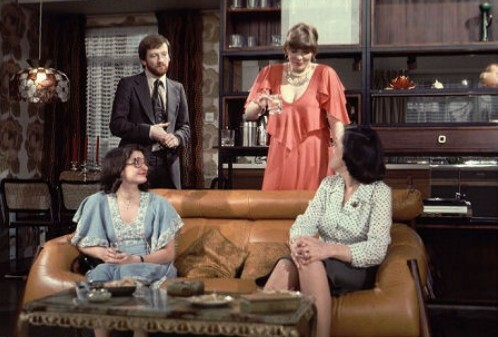 Even as television became more self-confident in the 1960s a series noted for its televisual imagination could still be called Play for Today, and noteworthy theatre and opera production would appear in broadcasters’ annual reports as the highlights of their year – not so much for the audiences they might have attracted but simply for exuding class. Television was the inferior medium. Those days are gone now. It may have been the mixed virtues of the BBC Television Shakespeare series of 1978-1985 that finally killed off the urge to to bring classic plays to the screen. Now producers of drama on TV seldom dream of the stage – instead they prefer to think of their works as films, and only very infrequently do we see a stage production brought to the (relatively) small screen. With the great success of initiatives such as Digital Theatre and National Theatre Live, streaming live theatre to cinema screens, the concept of theatre plays on television looks like a failed experiment, a quaint part of television’s uncertain and sometimes elitist beginnings. Or maybe there is something else to all this, something which came across to me hearing the various papers at the conference. Those I heard were Lisa Bolding’s archaeological reconstruction of a lost 1938 BBC production of Webster’s The Duchess of Malfi from TV’s earliest days, where it was a triumph when shot transitions were brought down to two seconds; Russell Jackson on an American TV programme that documented Peter Hall’s 1959 production of A Midsummer Night’s Dream; Daniel Rosenthal on the intense competition between the BBC and pay-TV company British Home Entertainment for the rights to broadcast plays from the National Theatre in the 1960s; Lez Cooke on regional TV versions of Peter Cheeseman’s Victoria Theatre Company’s stage productions in Stoke-on-Trent; John Wyver’s fascinating account of Granada TV setting up its own theatre company in 1969, the Stables Theatre Company, to produce both stage and TV works (not too successfully); Ben Lamb on the popular 1973 TV production of The Roses of Eyam, whose studio settings convinced some viewers that it was filmed on location; Ruth Adams on how the public understood the satire behind Abigail’s Party rather better than some critics; Amanda Wrigley on the bold production of theatre classics for the Open University’s A307 drama course; and Cyrille Garson on a new form of theatre on TV, the verbatim plays such as Black Watch and Justifying War which recreate transcripts from inquiries and the like. The evidence of such histories does not point to an odd sideline of TV’s past, a product of a condescending culture, but rather of the multi-platform necessity of any work of the imagination. Back in 1994 I wrote in a book on Shakespeare on film and television, “Shakespeare’s plays were written for more than the stage”. I didn’t back-up this with much of an argument, but what I was trying to say was that any work of art, if it has any life in it at all, must extend itself beyond the original form decided for it by the artist. A novel, play, artwork, film, programme or whatever does not stand alone – it needs must be borrowed, adapted, appropriated, re-interpreted, misinterpreted, copied, plagiarised, emulated, imitated, re-presented, re-imagined. These are works of imagination, which then find form through their presentation before an audience, and can then find an extended life beyond that original form. So it is that authors find their stories or characters appropriated by the culture, and eventually (copyright notwithstanding) lose control of them. Romeo and Juliet is a play that was written for the stage, but it is also every stage, screen or radio broadcast taken from that play, every plot borrowing, every homage, every parody, every re-use of the characters in art, advertisements, comedy sketches and beyond. It lives because it has not remained on the page. So it was that television, like film before it, showed how works conceived for the stage not only could, but had to be adapted to these new media. A play that could not reach new audiences through the TV set was that much less of a play. There is the commercial imperative as well – novelists and playwrights must always have one eye to the screenwriters, and few writers these days can produce a work in one form without imagining (or calculating for) its transference to another, and another. And then there is the technological imperative, because in our multi-platform, triple-play world the work must automatically lend itself to multiple forms of distribution. When books have become interactive, plays are shown in cinemas, and television programmes appear on our mobile phones, to consider one medium only is not just blinkered – it’s increasingly becoming impossible. So the urge for theatre to become television is an important stage in the history of both media, and points to the polymorphous world of the arts that the digital environment now provides. What started as a herculean struggles with primitive technology televising The Duchess of Malfi in 1938 has now led us to a project such as the BBC/Arts Council’s The Space, where productions live and recorded can be picked up on computer, tablet, smartphone or connected TV. Indeed these works were written for more than the stage, and we have the technology to prove it. 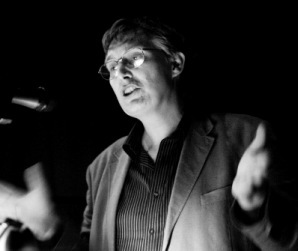 The conference was organised by Screen Plays, a three-year academic project led by producer/academic John Wyver of the Illuminations company (producers of some of the most notable examples of theatres play on TV in recent years, including Hamlet, Macbeth and Julius Caesar) with researcher Amanda Wrigley. I am honoured to serve on its advisory board. A perpetual buzz of conversation mingled with the crackle of peanut shells that littered the floor like snow in winter. Every step in any direction crunched … Nearby, children were reading the titles out loud for the benefit of their foreign parents. Some even translated the words directly into Yiddish. Babies cried, kids were slapped, and an endless procession to the ‘ladies and gents’ was greeted by outraged cries of ‘Siddown’. Only the screen was silent. On Friday 19 October I am presenting a show at the Canterbury Festival, entitled Only the Screen was Silent. It’s really an illustrated talk with a couple of actors, but the festival has classified it under ‘Theatre & Dance’, which is fun. The two actors are Neil Brand and Liz Fost, who provide voices of taken from contemporary documents, memoirs and oral history recordings of those who were young when cinema first came to London, in the years before the First World War. The show is based on research I undertook some years ago at Birkbeck, University of London, as one of a set of projects governed by the AHRB Centre for British Film & Television Studies (it doesn’t exist any longer, but its website lingers on). The project was called The London Project, and it looked at how and why the motion picture industry arose in London. My co-researcher Simon Brown looked at the film businesses; I looked at cinemas and their audiences. The main output of our research was a database of London film businesses and film venues up to 1914, which happily remains online and has proved useful to quite a number of researchers ever since, though it is frustrating that it has not been possible to update the database or indeed continue the research to cover later years or a wider territory. As well as producing the database, we published assorted papers based on our researches. One of these was my paper ‘”Only the Screen Was Silent”: Memories of children’s cinema-going in London before the First World War’, Film Studies issue 10, Spring 2007. It’s an account of what the experience of early cinema-going was, based on memoir evidence, and structured around the regular stages of going to the cinema – obtaining the money, buying the ticket, entering the cinema, eating, watching the films, sitting in the dark, and so on. The argument, which was about the socialisation of cinema, came out of the evidence of the memories of those who were children at the time. It therefore required lots of quotations, such as that from Harry Blacker (taken from his 1974 memoir of the Jewish East End, Just Like it Was: Memoirs of the Mittel East) given at the top of this post. It was a very eventful afternoon at the cinema. There was as much drama off the screen as on, due to sporadic conflicts that broke out in various parts of the hall when a porter tried to eject children who were attempting to see the show through a second time. The management had invented a system of coloured tickets to keep a check-up on this kind of thing. Maybe this was necessary in view of the habit prevalent among children of seeing a show through twice. But the complications it brought! Children were not to be ejected easily after waiting a whole week to get inside the cinema. It was such fun finding the evidence. I started off by scouring the shelves of libraries for all of the published memoirs I could find, but then I visited every borough archive in London to look up unpublished memoirs – sometimes just a few pages – digging out any mentions of cinema-going in the pre-WWI period. I made great use of the transcript of oral history interviews undertaken by Paul Thompson in the 1970s, which resulted in his book The Edwardians: The Remaking of British Society (1975). 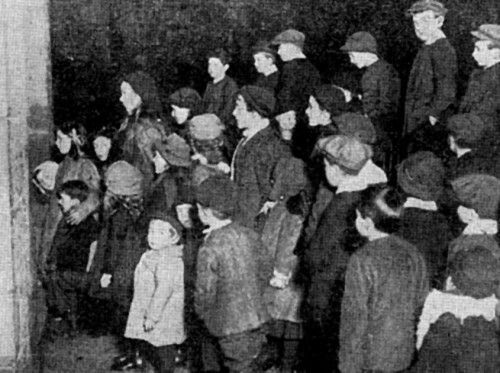 Many of the interviewees (who were all children in the Edwardian era) came from London; all were asked about the entertainments they went to see. The recordings themselves are held by the British Library; the transcripts are at the National Social Policy and Soial Change Archive at the University of Essex. I also made good use of the collection of working class autobiographies held by Brunel University Library. Did she ever go out to enjoy herself? She used to go to the cinema with my father. By the way she behaved and other women too in a cinema – they used to live with it, they used to talk to the actors. She used to say to ‘em, look behind you, and – he never done it. He done it, you see, it was very good indeed. They lived with it. Well I remember my mother coming out of the cinema with my father and I was very – very young and I remember what she said to him she said, Jim – she should never have married that man, he’ll never be any good to her. Now that’s what I call – living with a picture, that is true. Yes. How often would they go to the pictures? Oh once or twice a week. People used to really cry at the cinema them days, when the lights went up you look around – see ‘em all tears down their eyes you see. Used to snivel. My essay used to be freely available online from the journal’s publishers, but Film Studies is no longer published and the free articles it made available seem to have gone with it. One day I’ll write up the London research into the book I’ve been telling myself I really have to produce one day (I’ve got 60,000 words completed – how difficult can it be to finish it off?). Meanwhile there’s the show. I do believe academic research should be able to demonstrate value to a general audience where it can. And it never does any harm to be entertaining, whoever your audience may be. I’ve been thinking about news lately. At the British Library we’ve just piloted a television and radio news service, called Broadcast News, which has selected news broadcasts from May 2010 onwards taken from seventeen channels available on Freeview and Freesat. But the service can’t just stand alone. It has to join up with other news media. We hold the UK’s newspaper library, we’re on the verge of archiving UK web space, and we have radio news archives. How to join these all up – but, first of all, why? These two films, in their separate ways, are indeed the archetypes of the newsfilm. They set out to interest a specific audience by reporting an event which had news value not because of the inherent pictorial interest of the subject, but because the audience was already interested, had already been conditioned to be interested in it. Pictures of soberly dressed Frenchmen disembarking from an ordinary riverboat on a very ordinary promenade were not intrinsically fascinating even to the average Frenchman. But if the audience was composed of people already interested in photography and if they were told that the pictures showed the arrival of leading French photographers at their annual conference, then these unexciting pictures would be invested with a significance, by the mind of the audience itself. A newsfilm can be defined as an actuality item of current interest for a specific audience. There are three factors that define news as news: from whom it comes, when it is delivered, and the audience to whom it is delivered. News is not an absolute – it is selected, described and published in a particular form by an identifiable producer, for we need to know from whom it comes to assess what sort of news it is. Then it has to be current, as far as possible of the day, because yesterday’s news is news no longer. The history of all modern news media is one of speed, wanting to get the intelligence about what has happened to a public as soon as possible. And then the audience is crucial to the definition of news, because what is news to one person is not necessarily going to be news to another. They have to be interested in it as news for it to be recognised as news. On first sight this seems merely to be a wordier reiteration of the pithy one-liner from 1992. But there are differences, or refinements. I’m now stressing the importance of the producer, and of the day. I was struck particularly by the former while going down an escalator at St Pancras railway station and seeing an electronic screen delivering news headlines. Something about it bothered me, then I realised what it was. It didn’t tell me who had produced these headlines. There was no credited author, no means for me to judge the trustworthiness or bias of the body delivering such news. I felt disoriented – even offended. I may baulk at the blatant bias of some news providers, but at least I know where they are coming from and can adjust my understanding accordingly. Here I felt that, without that identifiable producer, it wasn’t news. Consider how one reads the news today. One may hear the radio news in the morning, or catch breakfast television. A journey into work might mean a newspaper, to be read in a variety of ways according to time available or personal interest – one can, of course, read a newspaper and consciously avoid anything that might be described as ‘news’. Gradually one pulls together a composite picture of what one wants the news to be, seeking out confirmation through headlines, web pages, RSS feeds, mobile phones and podcasts, according to one’s degree of media literacy. We make the news what we want it to be. News is a composite. It does not lie in any one newspaper, television news programme or cinema newsreel. It lies in our heads. An interesting question is whether this has always been so or whether it is a particular condition of modern living (this is a major topic to which I’ll return in a later post). But the challenge as I see it is how to bring these different news media together in database form, so that the its structure echoes how we find the news. 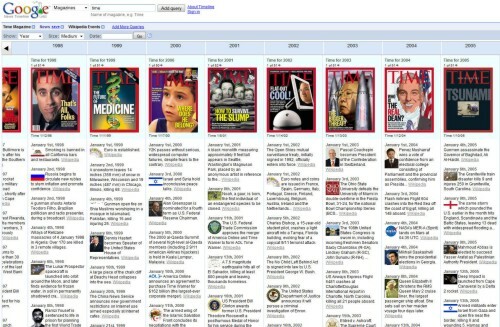 Google Labs had an excellent tool, News Timeline, which demonstrated this. It allowed you to select news stories from different digital journals and websites across a day, week, month or year, letting you select your own news not just according to the subject you chose but the news media through which you chose to view it. Sadly the service is no longer available, though one hears rumours of its return in some form. But the database should have more that that. It should tell us from whom the news came and to whom it was delivered, not just when it was delivered. What was news to one person was not necessarily news to another. What is news only locally can suddenly become news globally if it has wider implications (i.e. if it can interest a wider audience as news). I would like to see a database that could identify for me, say, all of the news outlets owed by News International (paper, web, broadcast), the territories to which they were directed, and how the audience for such news outlets might have grown (or shrunk) over time. Some of this Broadcast News tries to do. We capture news broadcasts from several channels, among them BBC, Bloomberg, CNN, Al-Jazeera English, Russia Today, NHK World and China’s CCTV News. It is news from many global sources, but it is all directed at British audiences because they have chosen to have such broadcasts available free-to-air in the UK through Freeview and Freesat. 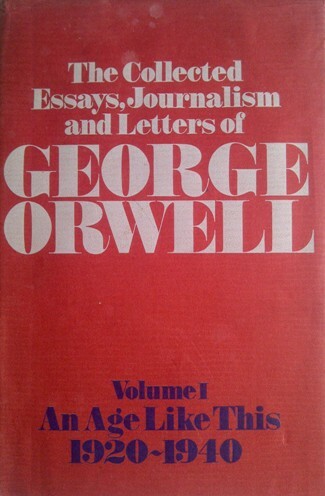 It is available to us in the UK, it can have an impact on the UK’s view of the news. It is all searchable by day, of course, so that I can see what the headlines were at any one time and make my choice as to what I want to study about the news, knowing its source, its period, its audience, and its relationships with other news broadcasts. It is easy to see how the model could expand to incorporate other news media. Not all news is published daily, of course, so one needs to allow for the weekly and the monthly (and maybe, in the other direction, the hourly). And then you could do more exciting things with such a data model, by incorporating other artefacts that are not ‘news’ of themselves but could be connected to a news database to given a wider sense of what happened, or what connects to what happened. Why not add in the books that were being read at that time, or the music that was being listened to, by including book and music chart data? Or add tweets, blogs, diaries, photographs? If everything in a library is dateable, might it all be considered, one way or another, as news? Is the whole of the British Library a news library? I spent a fascinating, exhausting and illuminating two days last weekend attending the conference of the Federation of International Television Archives (FIAT/IFTA), which was held at the British Library. FIAT/IFTA is a representative body for those archives, commercial and public sector, that care for the world’s television heritage (its film equivalent is FIAF, the international federation of film archives). The full conference ran four days, the first day at the BBC, the remainder at the BL, but I had to miss the last day unfortunately. An outsider might imagine that when television archivists gather together in one place they talk about nostalgic TV shows and the challenges of obsolete formats. But television archiving is going digital, and that means that the language is changing. Now it is all about metadata, file formats, ontologies, the semantic web, workflows, user-generated content and other such preoccupations never forseen by the mind of Baird. It says a lot where TV archives now are is that a session on archives in developing world countries was thinly attended because a parallel session on metadata and semantic searching was packed to the rafters. The conference had special signficance for me because it served as focus for much of the work I’ve been trying to do as moving image curator at the British Library. Rather than being a curator in the usual sense of building up a collection in a particular area, much of what I do is about establishing relationships with other institutions to link up what we have with what their moving image (and sound) holdings. One of the key things about going digital is that the traditional barriers established by the analogue world are falling away – barriers of ownership, copyright, provenance, even meaning. We are building new kinds of structures, where no one can be said to own because everyone shares. Two of those key relationships for the BL are with the BBC and the British Film Institute, and the three of us were co-partners in organising the conference, along with FOCAL International and FIAT itself. These very points about changing boundaries were made by Roly Keating, the new head of the British Library, significantly having joined us from the BBC, where he was Director of Archive Content, setting in train plans for reimagining what archives are, where their position is within such an institution, and what you can do with them. His welcoming speech to the conference talked of a “continuum of content” between the BBC, the BL and the BFI, which adroitly sums up in three words what some of us have been working hard towards achieving. Of course it’s not just about audiovisual content, and Keating stressed that such convergence was only part of a bigger picture, but it’s vital to have moving images a part of that picture. 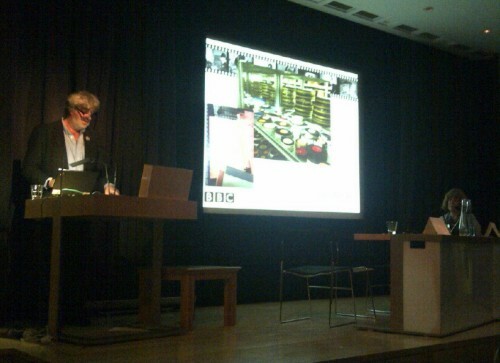 So it was that he was able to announce the piloting of two new moving image services at the British Library from 1 October. One, Broadcast News, is a television and radio news service, presenting news programmes from seventeen channels (BBC, ITV, Channel 4, Al-Jazeera, Russia Today, China’s CCTV News, NHK World and others) which we have been recording since May 2010. The other is the BBC Pilot Service, an experimental fusion of BBC catalogue data (2.2M records) and playable programmes (190,000) which we’ll be running as a trial for six months. Owing to the need to respect copyright, both are only accessible in the Library’s Reading Rooms (the very name of which shows you what I feel I’m up against sometimes). We’ll want to widen access to such archives one day, but one step at a time. It was a heady start to the conference therefore, but much else to discover and take in. Bill Thompson, head of partnership development at the aforementioned BBC Archive Development, spoke about the importance of the Digital Public Space (a virtual environment where we could discover the archival riches of partner institutions). For Thompson the BBC was not a programme maker but rather an archive that happened to make programmes, and it was how it would help engineer solutions for making more available to more people that was most important. He declared that what we are doing is adapting how we think, communicate and interact in the digital world is as importance as inventing writing. We are finding new ways of expressing ourselves. With big ideas such as those, the prosaic necessities of managing TV archives seemed … well, prosaic. But big structures can’t be build without nuts and bolts, and we learned a lot about copyright changes, fingerprinting and ID numbers for audiovisual media, advances in subtitle search and speech-to-text technologies, managing large volumes of user-generated data from events such as the Japanese tsunami of 2011, European portal projects such as Europeana and EU Screen, a memorandum of understanding between the French AV archive INA (an institution, like the BBC, thinking boldly beyond its core business to its core mission) and the Library of Congress which sounds like a model example of cultural diplomacy in action, amateur films, cloud computing, web archiving, the ethics and aesthetics of digital restoration, asset management, and – of course – ontologies. There was a strong sense of reaching out beyond the boundaries of television, as the sessions on amateur film and web archiving indicate, while much of the talk about digital processes and workflows could apply to any medium in digital form. Indeed the boundaries are collapsing, and you wonder which institutions – and which representative organisations – which still be around in ten years time, when the physical world in which they were founded no longer has any relevance to the researcher inhabiting the digital world. 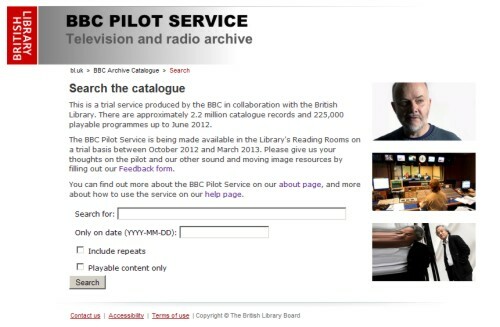 I write about the BBC Pilot Service and Broadcast News on my British Library Moving Image blog. The full FIAT conference programme is here.